Literature and wine expert Evelyne Léard-Viboux is a child of the Maurienne mountain region who went on to become a literature teacher. She shares her passion for the wines and countryside of the Savoie region in words and photographs. A scenic wine region combining diversity and quality. 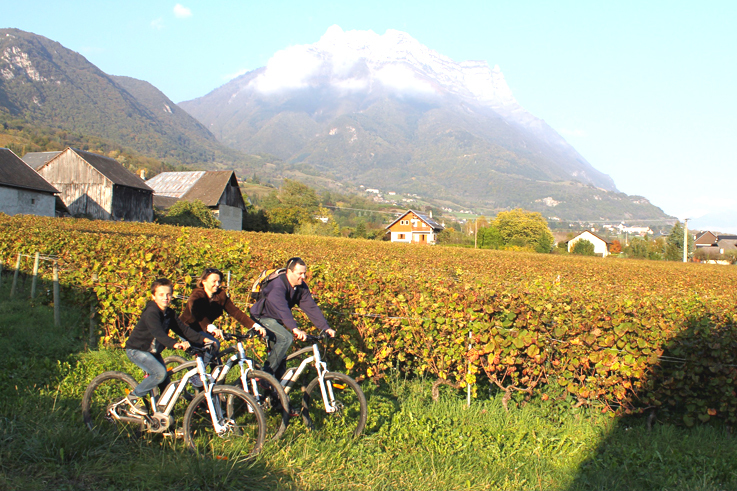 Why did you produce the book Wines and Vineyards in Savoie Mont Blanc? This book arose out of a meeting with the photographer Laurent Madelon, who, like me, has a passion for the mountains and the vineyards of Savoie. My intention is to enhance the image of Savoie wines. These are remarkable wines which age very well; some of them are rare, while others are delicate and very original. What did you intend to show to readers? We wanted to reveal the scenic vineyards, marked by history, as well as their bracing climate and chaotic geography, all of which give the wines their character. In short, we wanted to reexamine the clichés and the assumptions about Savoie, such as its rustic nature or the coarseness of the wines. These clichés are still too widespread. Why did you give such a prominent place to photography? The Savoie vineyards are extremely photogenic: the abrupt slopes, the well-defined seasons, the proximity of the lakes and the mountains. All this contributes to making it a sublime place, and the photography highlights its originality. The text provides complementary information to showcase the great diversity of grape varieties present in the Savoie vineyards. What else have you done to champion Savoie wines? I present wines during tasting sessions, I am on the judging panels of the major wine competitions and I produce wines for the Savoie winemakers with whom I collaborate to further improve the quality of the wines.